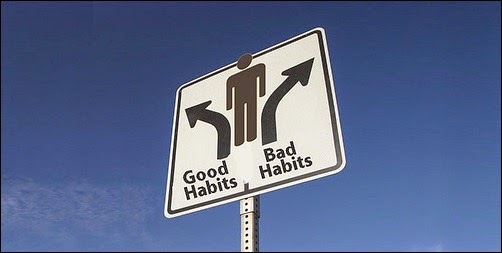 There are some bad health habits that we all do so often we may not even be aware of it. Whilst it’s important to get a balance between doing certain things to aid your health, sometimes it could do more harm than good. Here’s a look at six of the top bad habit you probably didn’t even know you had. Learn how to avoid them and how to keep your body healthy. Scientific research has found that people who did 30 minute workouts lost more weight then those who did an hour. Those that worked out less were not as exhausted which meant they could do more outside the gym such as walking or active hobbies like dancing or netball. By doing a range of activities you’ll find you’ll burn a lot more calories. If you’re finding your workout leaves you knackered, try to cut down slightly and take up physical activity elsewhere doing a hobby you enjoy. After swimming you’re cold, wet and keen to get dry and often that means you forget to change your contact lenses. Harmful organisms that live in pool water can lead to serious eye infections and the risk of catching one is increased by contact lenses. Lenses hold water in contact with your eye and removing them can cause a slight trauma which can allow bacteria to get in. The best way to prevent any nasty infections is to wear goggles over your lenses then either disinfect them or get new disposables. Whilst it may feel like a small victory to bag the last seat on the bus/train, it can actually lessen your life by 22 minutes. Researchers have found that sitting raises your insulin levels which can cause conditions like diabetes. Don’t worry you don’t need to stand up for the rest of your life – standing for a few minutes an hour counteracts this. Make plans to do tasks vertically and even download Standapp which reminds you to stand up at certain intervals. You would think wearing flat shoes wouldn’t be a issue? Flat shoes often have very little support which can aggravate the plantar fascia (tissue in the sole of the foot) and cause pain. Unfortunately skyscraper heels aren’t much better and daily use of those can shorten the Achilles tendon (nightmare!). The best way to alleviate any problems is to alternate between different heel heights during the weeks so no one area of your foot gets overworked. Did you really need a excuse to go shopping? It may sound strange but if you order your takeaway in person you’ll actually eat 6% less calories. Research has found that we feel more embarrassed about ‘pigging out’ if someone real writes down the order as opposed to the anonymity of online ordering. I hope these help you with how to keep your body healthy. Remember if you’re tempted just think is this good for me?